Over time, economic conditions always wax and wane, moving from better to worse and back again. Yet investor psychology typically responds to these ups and downs in a highly exaggerated way. In the real world, there are checks and balances. Irrespective of whether global growth is slowing or accelerating, economic life goes on. People will still eat, use banks, pay their rent, make phone calls and buy petrol. And while the sales of cars, beer, houses and mobile phones will fluctuate, there are limitations as to how good or bad things can get. However, there are no checks and balances on the swings in investor psychology. When things are going well, investors assume they will just keep getting better, and market psychology gravitates toward euphoria. On the other hand, when things seem to be getting worse, everything is viewed negatively, and market psychology swings toward anxiety and panic. A deterioration in one part of the world can have a negative effect on stocks that sets off reactions elsewhere. We then see a chain reaction of negative movements feeding off each other, invariably reinforced by doom-and-gloom explanations in the financial media. But media coverage never seems to acknowledge what some real-time surveys of market crashes do highlight – that some investors were selling simply because prices were dropping. So what accounts for the emotional bias in decision-making? The theory is that we have two cognitive systems. System 1 is automatic – it responds to the environment as quickly as possible, especially in times of perceived danger. It is the older part of our brain, in evolutionary terms, and it controls the ‘fight or flight’ response. System 2 is engaged for challenging problems where calculation and deliberation are required. It is the more recent part of our brain, in evolutionary terms. The problem is that we tend to revert to the automatic, emotionally influenced System 1 during times of stress and uncertainty, rather than have to deal with the larger cognitive processing load on our deliberative System 2. 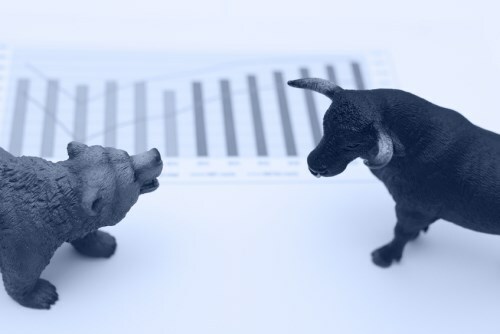 There are two principal behavioural biases that kick in during times of market stress: herding, or the urge to do as others are doing, and loss aversion, a deep-seated human desire to avoid losses (financial or emotional). During uncertain times, when markets are going down and everyone appears to be selling, these two biases can work in combination to produce a pronounced emotional effect on many investors. It is important to remember, however, that everything has a fair price. Swings in psychology tend to overreact in both directions, meaning share prices become detached from intrinsic, ‘fair’ values. A high-quality asset can become expensive and a poor short-term investment, while even a low-quality asset can become cheap and a good investment. Since market participants effectively set asset prices, it is their behaviour that ultimately ends up creating much of the risk in investing. This disconnect between real-world fundamentals and investors’ unbounded emotions is a critical one. It can be used to the advantage of the contrarian investor who is prepared to go against the herd by taking a more patient view. Buying when others are fearful not only requires a longer-term view, it also means investing against your emotions. In practice, the evidence suggests that relatively few people really have the stomach for this. Instead, the solution for many will be to invest in a diversified, multi-asset portfolio and leave it alone. Similarly, regular saving throughout the investment cycle, including during periods of volatility – known as cost averaging – is a tried-and-tested way of taking advantage of lower prices. Both strategies effectively remove the need for decision-making in volatile times and therefore avoid the possibility of emotionally biased decisions. While investor psychology can cause short-term overreactions, it is worth remembering that over longer timeframes, stock prices are ultimately driven by fundamentals like corporate earnings, not investor sentiment. This is why investors should not let occasional volatility derail their long-term investment plans. In times like these, investors should remind themselves that behavioural biases are at play so as not to make an enemy of themselves. Nick Armet is an investment commentator for Fidelity International.